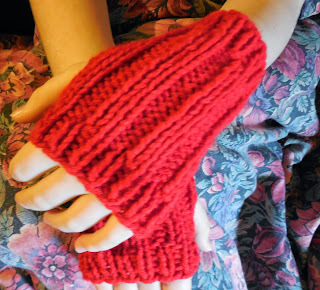 New Pattern- Kids fingerless mitts- FREE! Im sick.. coughing, sneezing, runny nose.. its awful..
but i still seem to get things done..
also, i made a really easy knitting pattern for kids fingerless mitts. pattern is for free, and will be put in my patterns section! have most of the names embroidered by the time they come!